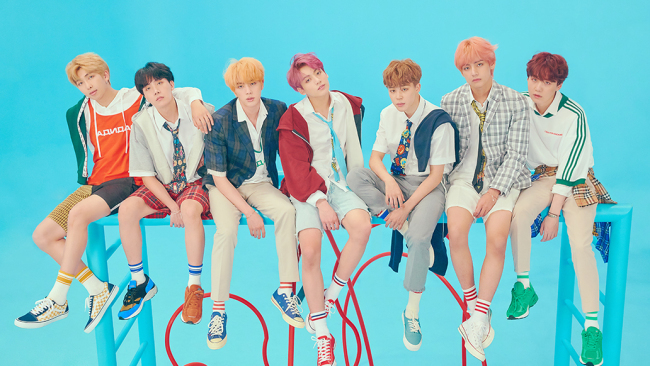 K-pop superstars BTS' "Love Yourself: Answer" has stayed on the Billboard main albums chart for the ninth consecutive week, the chart showed Wednesday. The repackaged album came in 50th on the Billboard 200 chart this week, down from last week's 27th. It debuted atop the list in September. The septet also remained on top of the Social 50 chart for the 68th week in a row. Also this week, "mono.," a new solo album by BTS leader RM, landed in the 26th spot of the Billboard 200 albums chart, the highest ever by a South Korean solo singer, according to BTS' management agency, Big Hit Entertainment.